When casting, most fishermen look at their lines with the corner of their eyes to see how the loop is going. It’s a sort of, let say professional deviation because a good loop with the other two parts of the line perfectly parallel is synonymous to a good cast. But how is the loop formed and is it so important? Let’s start by saying that the loop can be defined as the “motor of the cast”, that is the point where all the Kinetic Energy is concentrated and the tighter it is, the more energy is accumulated and the faster the line speed becomes. The loop is formed by the Thrust in the instant that the line passes over the rod tip. There are two loops in any cast – one forward and one backwards but the most important one is the forward one because it’s the one that will drive our fly to its target. 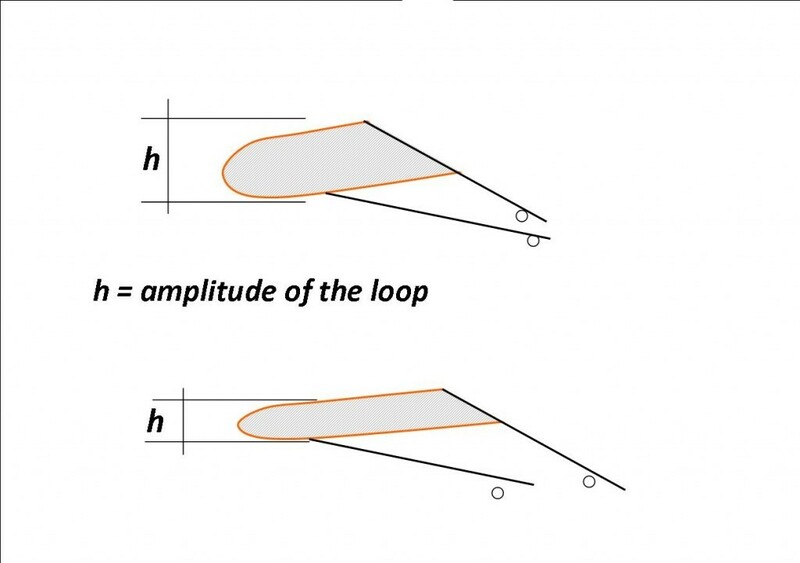 There are a few theories on the formation of the Loop. One says that the loop is given by the difference between the highest point and lowest points reached by the rod tip during all the casting phases. In my opinion the correct one is “the difference between the highest point and the lowest point reached by the rod tip but only during theThrust” and the smaller this size and the tighter the loop. Acceleration means increasing the casting velocity gradually starting from a hypothetical zero velocity and accelerating by ten imaginary units at a time to ten, twenty, thirty and so on until you reach 100 which is the beginning of the Thrust. From 100 to 150 the casting space will be very short and in this brief space the loop is generated. But everything must be carried out harmoniously and progressively. There should be no abrupt movements better known as whipping movements that give rise to the so-called tailing loop, where the loop folds over the line and which prevents you from fishing. How many times does it happen even to expert casters that the fly hooks onto the connection between line and leader? 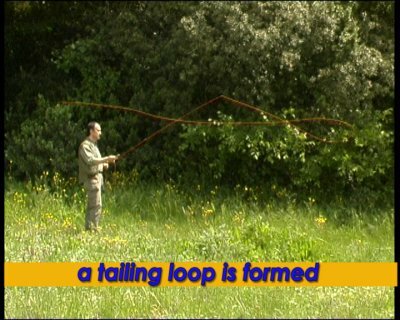 This is the main result of a tailing loop – the loop closes upon itself and part of the line and the leader pass under the line and once it opens again, the fly hooks the line.